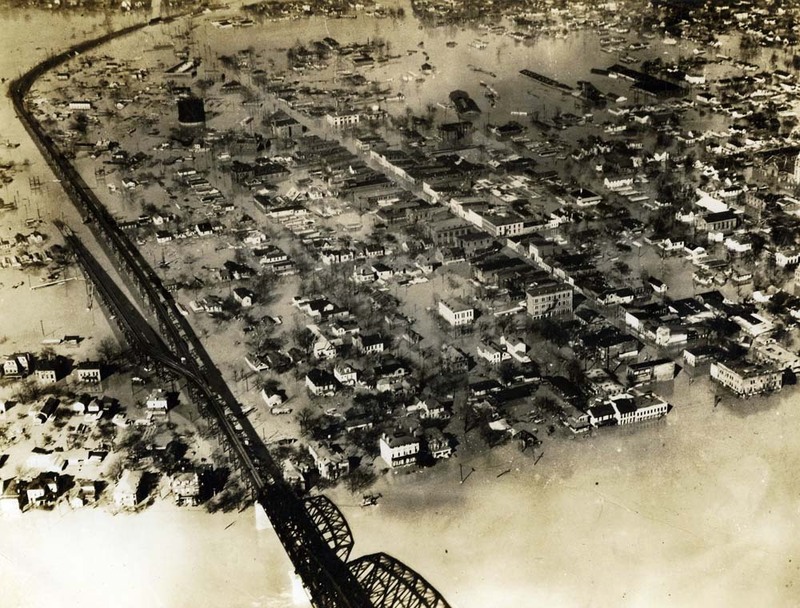 The Ohio River flood of 1937 is one of the greatest disasters in American history. Heavy rain began falling in the Louisville area on January 9 and continued with only brief interludes until January 23. Combined with runoff from melting snow, the rains pushed the river well above flood stage, ultimately to a record 51.1 feet. 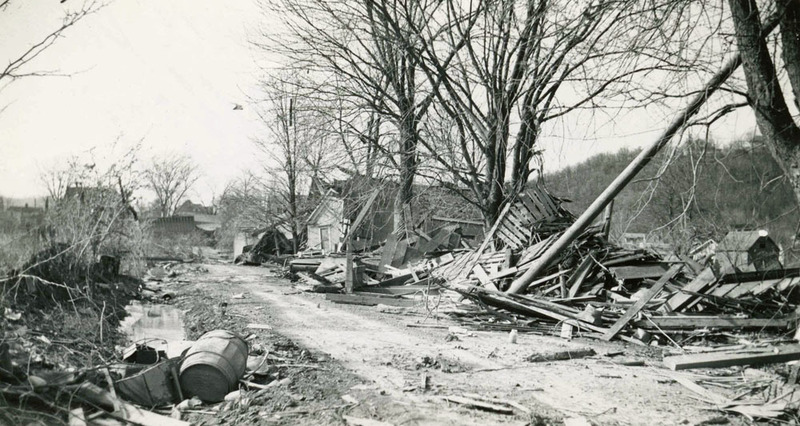 Communities throughout the Ohio Valley suffered heavy damage. New Albany, like neighboring Jeffersonville and Louisville, found itself inundated, without electricity, and short on basic necessities. The scale of the disaster surpassed all previous floods in memory and left extensive damage in its wake. Cleanup and reconstruction began immediately but took years to complete. 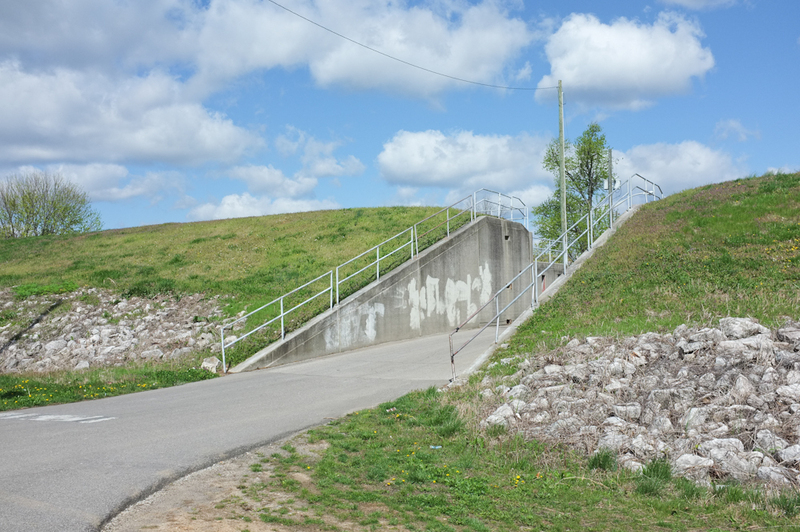 Conditions in New Albany deteriorated rapidly after January 19. 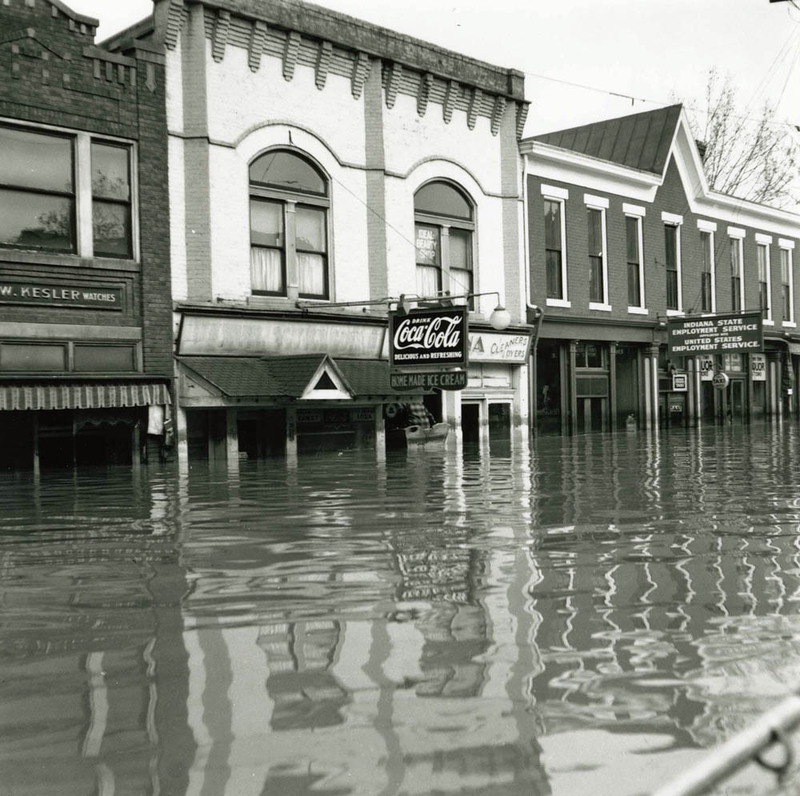 The Red Cross established an emergency hospital in a building at Third and Spring streets and officials began using rowboats to remove people from flooded houses. By January 21, water covered all roads leading to Jeffersonville. National Guard troops soon moved into the area, ready to assist people displaced by the rising waters. In the early morning hours of January 23, a levee near the intersection of State and Water streets failed, sending water rushing into the city. By midday, nine feet of water stood at Silver and Spring streets. 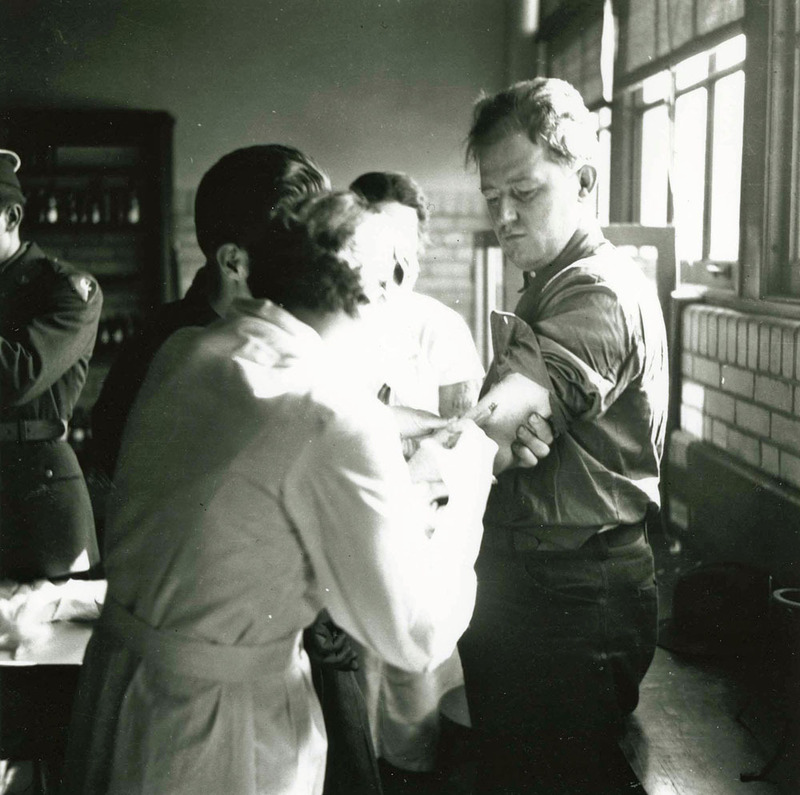 All residents had to be inoculated for typhoid fever. Drinking water had to be purified with chlorine or iodine. At the K&I Bridge, the sound of the rushing water, according to one resident, “was equal to Niagara Falls.” Houses, trees, cars, and debris floated by, all headed downstream. Citizens quickly began cleanup and rebuilding. 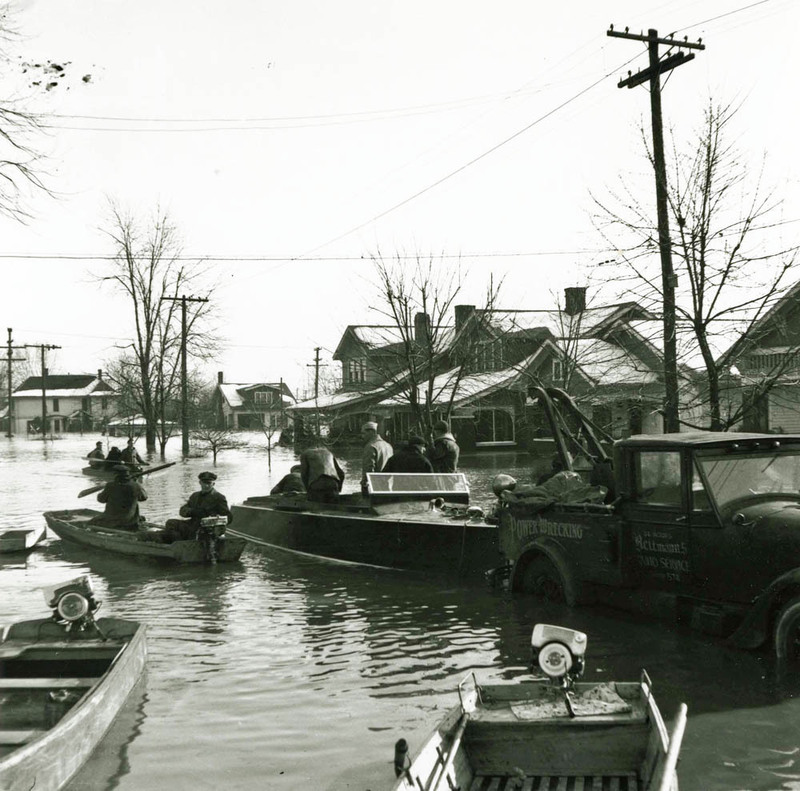 Communities throughout the Ohio Valley received assistance from the Works Progress Administration, the Red Cross, and the National Guard. These organizations provided food, clothing, shelter to those who had lost their homes and immediately began removing mud and debris. A thick coating of mud covered everything, and business owners and residents faced the difficult task of cleaning out buildings that had suffered several days’ inundation. 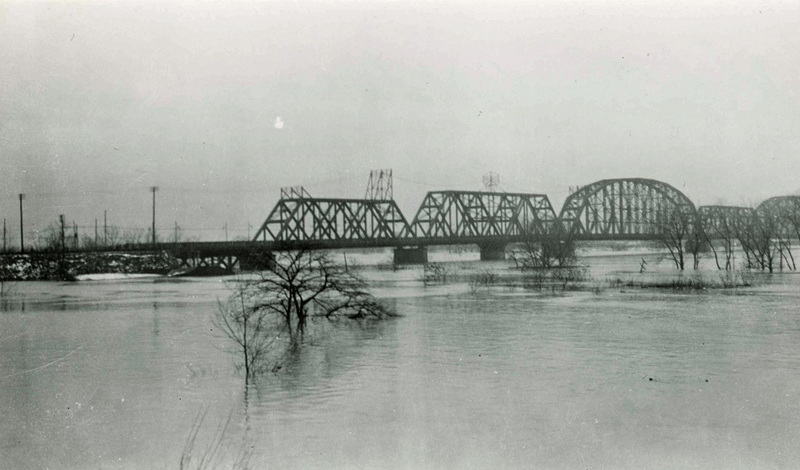 In the aftermath, federal authorities directed the U.S. Army Corps of Engineers to take a stronger role in flood control on the Ohio, which led to construction of a series of floodwalls and levees. 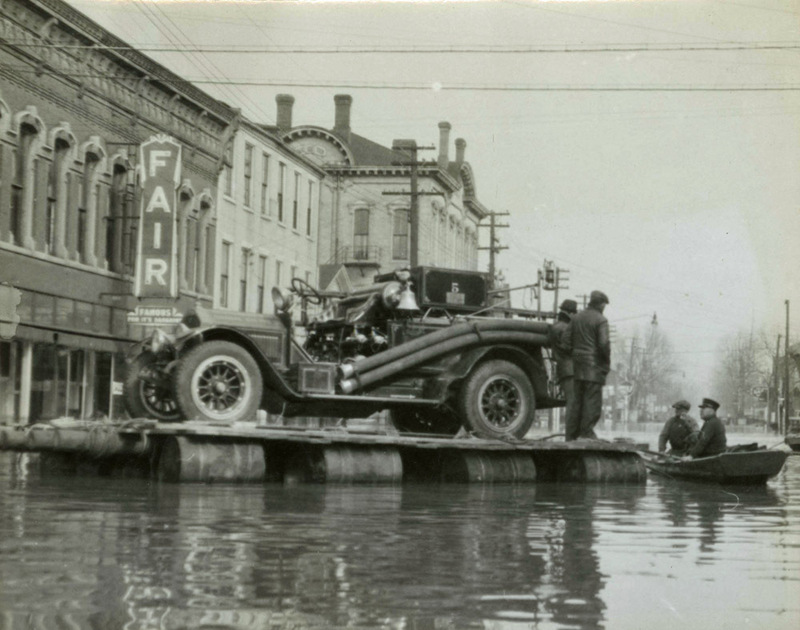 Today the 1937 flood lives on in memory as the worst disaster to strike New Albany. 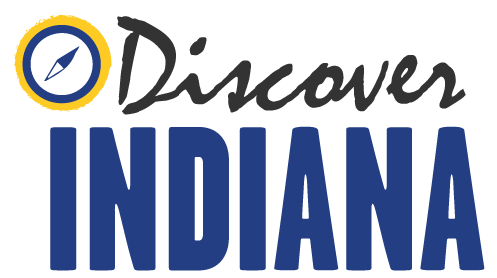 Ashley Slavey, Megan Simms, Wes Cunningham, Eric Brumfield, and Katy Morrison, “Great Flood of 1937,” Discover Indiana, accessed April 25, 2019, https://publichistory.iupui.edu/items/show/150. Marion Groh. Flood Diary, Jan.-Feb. 1937. New Albany-Floyd County Public Library. Online at http://nafclibrary.org/marion-groh-diary/Courier-Journal, Jan.-May 1937.New Albany Daily Ledger, Jan.-May 1937. Published on Apr 19, 2016. Last updated on Apr 2, 2019.